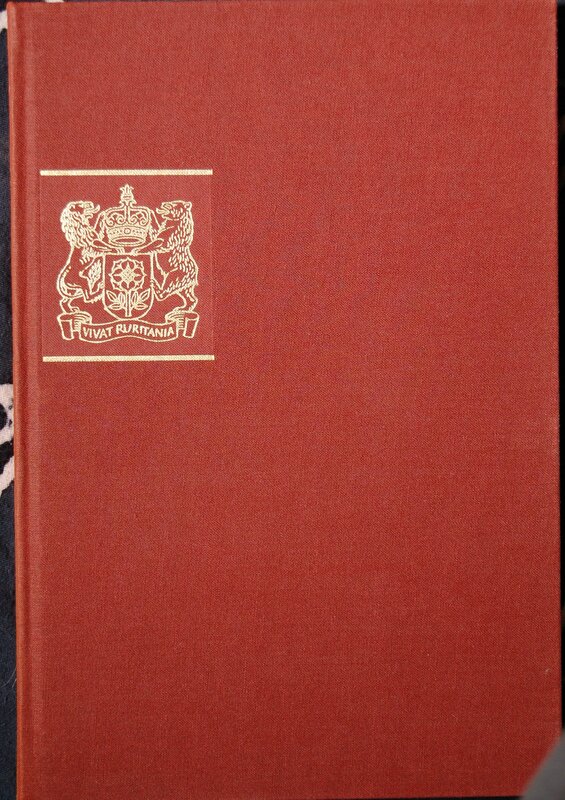 Heritage Press Reprint of LEC #378/34th Series V. 4 in 1966. Front Binding -Hey, I finally got my hands on a proper edition of the book! Ignore the awkward fuzz in the bottom right corner. I imagine my camera strap fell into the shot. 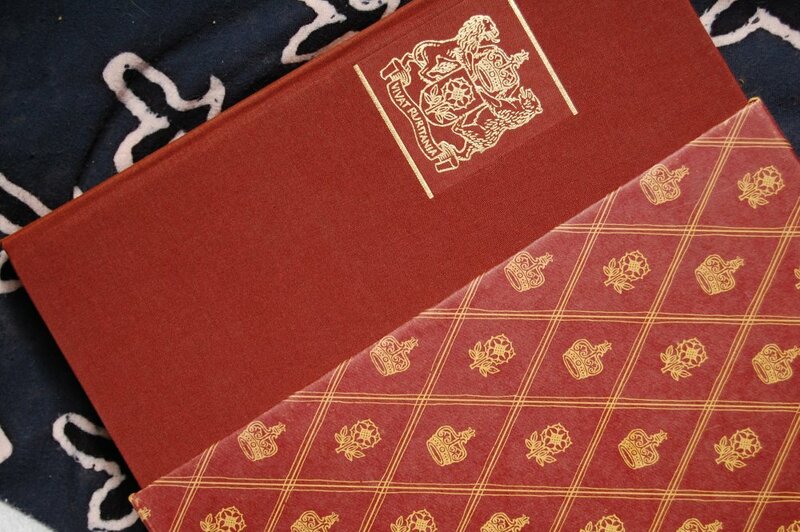 Anyway, the boards are a lovely maroon cloth, with the “Vivat Ruritania” seal stamped in gold on the front. Alas, I did not receive a Sandglass with this, so I’m still in the dark as to who designed the book and with what materials. The Prisoner of Zenda is the sole work of Anthony Hope’s produced by either club. This is his best known work, so I suppose that makes sense. Donald Spencer was also a one-off artist for the LEC, this being his sole contribution. His style is a good match for this work. Slipcase – A fancy slipcase! 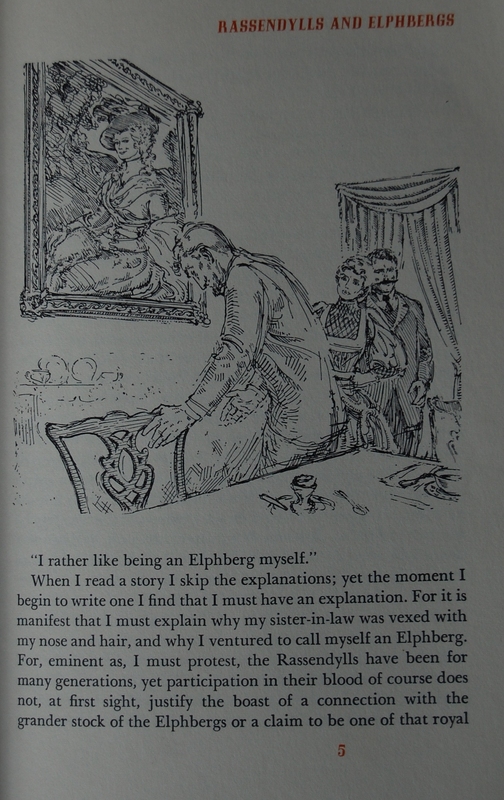 Title Page – The bold illustration by Spencer goes well with the stylistic fonts and smaller illustrations that break up the title and its fellow contributors. S.C. Roberts provides an introduction. Page 5 – An example of Spencer’s linework that decorate the text throughout. 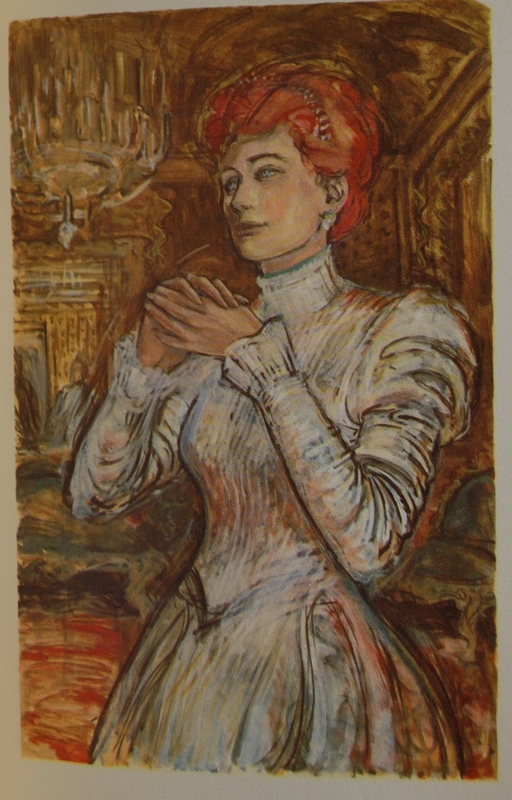 He also did several color plates, another of which you can see below. Page 142 – Rather nice. This is my favorite in the book. Personal Notes – I originally checked this book out to document it here, but I recently acquired it with my 50 book haul from the Oakhurst Library. It’s in lovely condition, although the lack of a Sandglass hurts a little. One dollar is an unbeatable price regardless of completion, though! 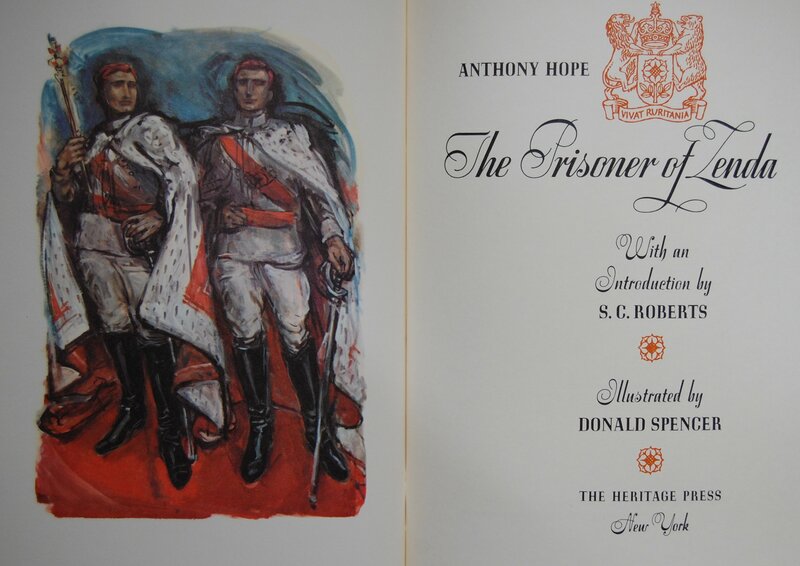 You are currently reading Heritage Press: The Prisoner of Zenda by Anthony Hope (1966) at The George Macy Imagery.